Two parcels zoned Industrial for sale. Located in the unincorporated portion of Arroyo Grande (County of San Luis Obispo). 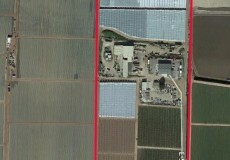 1.41 and 1.08 acres – 2.49 acres total. Shared well with neighboring parcel. Easy access off US 101 at Willow Road. Seeking Buyer/Lessor to develop a hospitality property delivering tax generating benefits on City-owned property. The City is offering this property to a Lessor/Buyer with the intent they develop a hospitality project generating on-going TOT (Transient occupancy tax). The zoning allows for a wide range of tourist service uses; Zoned C-VS/PD/S.4 (existing restaurant and parking lot) and C-VS/PD/S.3/S.4 (upper parking lot). The project sits partially on the Embarcadero, the main tourist area in Morro Bay. The balance of the property rises up and sits on the bluff overlooking the Embarcadero and Morro Bay. Subject property is +/- 1.42 Acres. Call listing agent for showing instructions. Pre-approval required for touring property. Excellent Santa Maria Location. 3.2 Acres of vacant land zoned M-2. Yard areas as small as 1 acre can be leased. Industrial yard is located very close the the intersection of Broad and Mahoney. Property is for sale or lease. 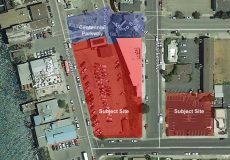 This property is both a key and unique development opportunity within the City of Santa Maria and the Central Coast region. This is a rare infill R3 Zoned amenity rich entitled project (PD 2016-0005) for Senior Apartments. 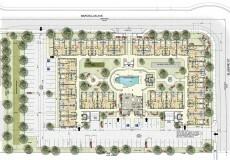 80 units in a mix of one and two bedrooms. The property is adjacent to medical services and walking distance to shopping centers. Approximately 30,841 sq. ft. zoned Recreational. 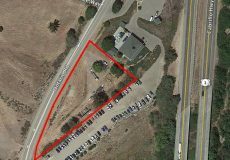 Small Recreational zoned land located in the Avila Beach/Pismo Beach communities —the heart of the Central Coast tourism. Adjacent to the popular parking lot for the Bob Jones Trail, the property supports a wide range of uses for recreational/tourism purposes. Billboard present on property can be purchased for an additional cost. Two ranches (2 Toro Creek Road and 4 Toro Creek Road) are adjacent to each other and are for sale individually or as a group. Both ranches have sloping terrain with flatter areas closer to Toro Creek Road and ranches have portions of the property with ocean views. Lot 2 – 206.87 acres. This ranch is clear of improvements. Domestic well on the subject parcel. Lot line adjustment underway. Portion of APN 073-092-050. Lot 3 – SOLD 121.94 acres. Lot 4 – 202.24 acres. This ranch is clear of any improvements. Domestic well on an adjacent parcel serves this ranch. Lot line adjustment underway. Portion of APN 073-092-050 andAPN 073-092-003. Seller will record a restriction on water usage on each ranch. Additional Due Diligence materials available upon request.